#12. 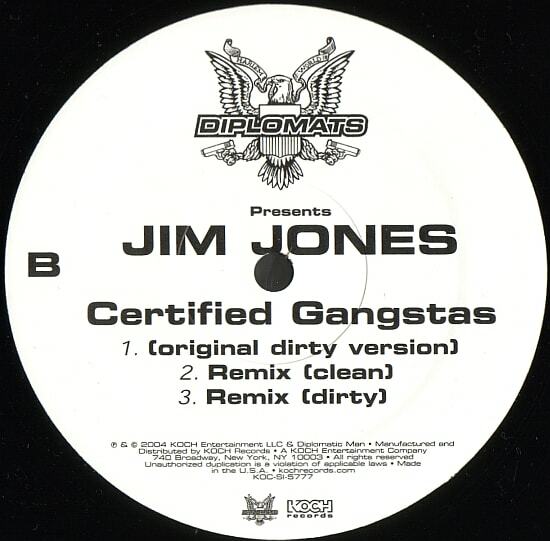 Jim Jones f/ Cam and the Game "Certified Gangstas"
On the bicoastal remake of Eazy-E's classic "Boyz-n-the-Hood"—one of those tracks you kiddies need to acquaint yourself with—the Dips recruited NWA descendant the Game and shot the video out in Los Angeles. It's a bloody good time, too: Jones eats a bowl of Corn Pops (we think) on the porch, and Cam dresses like he just completed a tour of duty in Yemen. Unfortunately, the version of the song that ended up on Jones' debut didn't feature Game's verse because 50 Cent wouldn't clear him.